Caroline Mattos has always been fascinated by computers. It started when she was a young girl in Brazil watching her older brother play on his Apple Macintosh. That interest propelled her to complete an undergraduate degree in Computer Science at Pontifical Catholic University of Minas Gerais in Brazil. After working in IT for a few years, Caroline realized she wanted to grow her career and gain international experience. She applied for the Master of Science in Applied Computing (MScAC) degree program at the University of Toronto. Through Mitacs, Caroline was connected with SecureKey, a Toronto-based leading identity and authentication provider — they enable consumers to share identity information using trusted providers, like banks and governments. “As an immigrant in Canada, I thought my Mitacs internship was an ideal chance to broaden my professional network in Toronto. I left Brazil because of the economic downturn and a desire to live a better life. My internship was the first step in that direction,” says Caroline. During her internship, she was responsible for looking at existing methodologies that could improve SecureKey’s processes. “I worked directly with the product owner and the solution team to provide recommendations to SecureKey’s business problems,” cites Caroline. 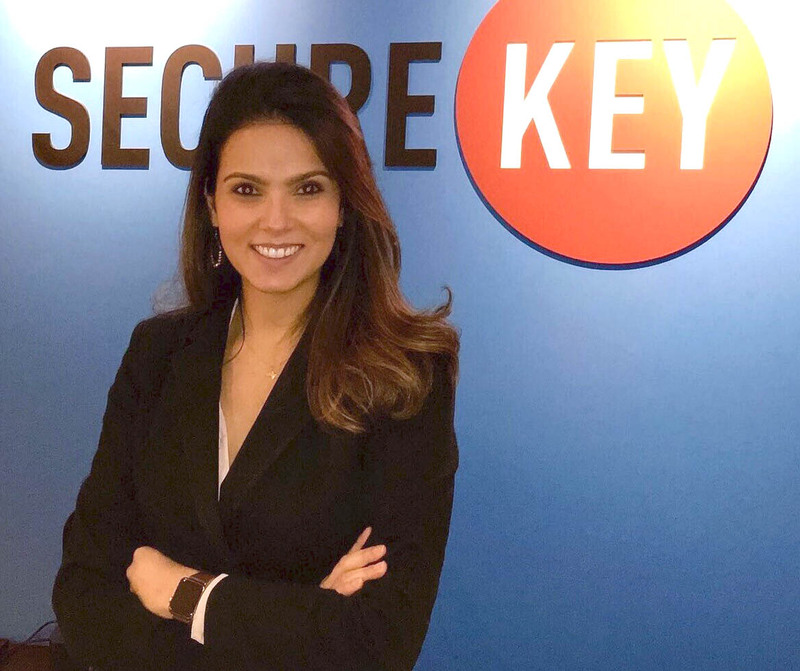 She also developed a living document that employees at SecureKey can refer to, to better understand SecureKey’s product requirements and challenges.